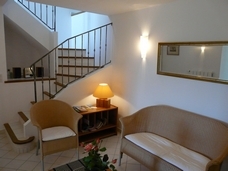 At a short distance from our home, an independant house on two levels (3 rooms, 2 bedrooms, 76 sqm) that accomodates 4 persons. 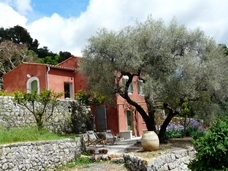 Private pool, our guest are welcome to share the petanque playground at l'Oustaou. Weekly rate for a maximum of four persons from Friday 4.00 PM to the following Friday 10.00 AM latest. Including charges, local taxes, towels and linen ; baby equipment. Your booking will be confirmed by sending an installment of 25% of the total amount of your stay. Balance to be paid upon arrival. Cleaning (option) : 50 €.